Easter Art Show – Take time to look at the Easter Art Show now on display starting today through May 5th. It is located in the East Hall way. For questions or information contact John Woods at [email protected]. Master’s Minor Musicians – NO choir practice tonight due to the movie at church as well as no choir practice April 21st due to Easter Sunday. We will be singing on May 12th in the morning service for Mother’s Day. Our Final concert will be May 19th at 5:30 p.m. following the carry in dinner. Any questions please call Jim or Treleen Cox at 574-267-6279. Ladies Book Club – Our next meeting will be Thursday, April 18th. The book for this month is “Could I Have This Dance?” written by Harry Kraus, MD. We welcome new members. We usually meet in the evening, the third Thursday of each month. You can call Phyllis Borkholder at 306-2483 or Marilyn Roeber at 372-6150 if you have any questions. Stories & Songs – All ladies are invited to our next Stories & Songs Tuesday, April 23rd at 7:00 p.m. in The Branch. Young Moms Bible Study – “Revive” Bible study will meet April 23rd from 10:00 a.m. – 11:30 a.m. Come for encouragement from the Bible and from each other. Contact Amy Sigler at 260-213-3148 for more information or questions. Greeter/Floater Children’s Ministry Team Openings – Hello Friends! We are excited about our new Children’s Ministry check-in software and kiosk area. These new features will help new families feel welcomed and safe. The only problem is that we don’t have enough people yet to man the kiosk and welcome the families! Would you be willing to step into this role and be the first face of the Children’s Ministry? We’ll train and equip you. All you need to bring is your smile! Please talk to Pastor Jason after the service. Ladies – We are looking for ladies who would be interested in being in charge of or helping with church socials. If you would be interested in this ministry, please contact the church office. Save the Date: Missions Conference – This year’s Missions Conference will be held September 29th – October 6th. Make plans to attend the special events that week and to help encourage our missionaries! We are currently looking for people who might be interested in serving on the planning team for the Missions Conference. If you are interested, please contact Valerie Crumbley ([email protected] or 574-453-7817). Thanks for considering! Community Picnic – This will be an outreach opportunity for our church. It will be on Sunday, May 19th at our church. We will have an outdoor service and family friendly activities. How can the church body participate? First, invite your friends and neighbors. There will be flyers for you to pass out. The menu will consist of pulled pork, mac and cheese and coleslaw, with ice cream and funnel cakes for dessert. If you could supply a bag of chips and a 2 liter of pop, that would be appreciated. Please bring the items to the church kitchen by May 12th. Lastly, if you have a pop-up tent that you could bring and set up that day, let us know. T-Ball Opportunities – We are excited that T-ball is starting soon. This is a great opportunity for our church to reach others for Christ. Here are a few ways you and your family can participate. Sign up in Sunday school to bring cookies for our players clinic (contact Treleen Cox at 574-527-3743 or Brittney Prentice at 574-325-0108). Volunteer to help serve drinks and cookies after the players clinic on Saturday, April 27th, (Contact Treleen Cox or Brittney Prentice). Volunteer to help with concessions (contact Jon and Stephanie Hershberger). Join us for the games and visit with family members of our players. One to One Counseling – Our counselors are trained to help people facing a variety of issues. Some of the more common problems we routinely help people through include: marriage issues, emotional struggles like fear, anger, worry, depression, parenting issues and dealing with temptation. 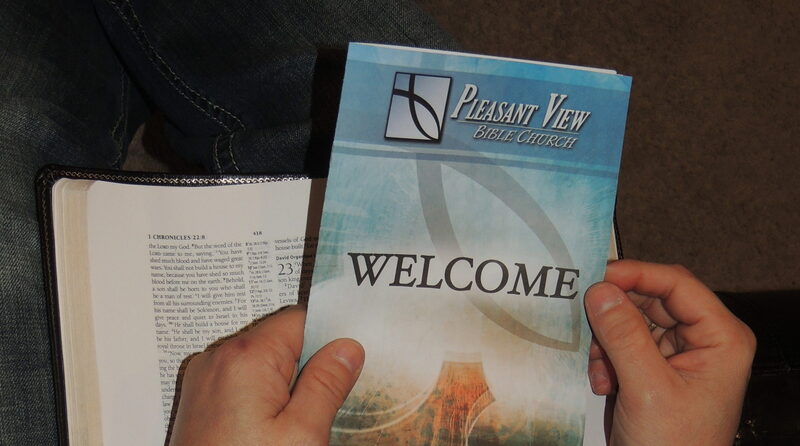 For more information go to pvbible.com and click on the counseling tab. All counseling is offered free of charge.